We spend most of our lives taking in information from various sources; going to school, church, reading books, watching television or even listening to friends talk, but we hardly ever process these pieces of information long enough to be inventive with them. Most people go about living their lives without any goal or sense of direction and they keep wishing they stumble on a fortune or get lucky somehow. The reality is, you get only what you sow. Life is not a fairy tale, we do not get to rub a genie and get our wishes handed to us on a platter of gold. The amount of preparation and hard work directed towards a goal is directly proportional to the results you get. Great inventions were built from little ideas coupled with hard work. In Matthew 25:14-28, the bible talks about the parable of the talent which was about a master who went on a journey and gave his servants varying degree of talents to trade with and make profit till he returns. In real wages, one talent represents about 20 years of wages, so what each servant got was quite significant. The first two servants traded and profited with what they were given while the last servant hid his own talent and did not make any profit. He was punished for his actions. We can learn a few things about this parable, that God has given us gifts and talents according to our different abilities and he expects us to be productive with them. Here are five things we can take from this parable. 1) God values us and hence he’s given us gifts to use for His glory. As believers, we have all been redeemed by the blood of Jesus Christ and that is the value placed on us. The precious blood of the son of the living God. We know that we have been fearfully and wonderfully made and only our creator can put a value on us. We should not let other people’s words or opinions define our value and hence placing limits on our abilities. 2)We have all been given gifts according to our different abilities- God who created us knows what we are all capable of doing and hence has given us different gifts in relation to our capabilities. We should all be comfortable with the gifts God has given us and not try and be like someone else. 3) God expects us to be profitable – Our gifts should not be buried or hidden but should be used for His glory. We should invest in ensuring we become better at using the gifts God has given to us. Prov 18:16, the gift of a man makes way for him. When we use our gifts, the greatness in us is expressed, it brings out our true value. 4) We are all bound by time. Time is critical, the master had a set a limit he expected results and it was not forever. We all have time to achieve some certain things expected of us and once we miss our timing, there may be consequences. 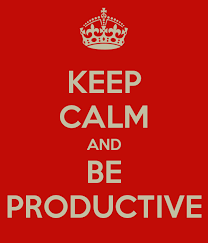 Every time we have should be productively used because it counts. 5) We will always be held accountable for the gifts and resources God has committed into our hands. We will all one day be asked to give account of what God has endowed us with and we must be ready. The master Jesus is coming back one day and that is certain, the question is Will we be ready to report on the use of the gifts he’s given us? If you feel you have not done enough, the good news is that you still have the opportunity to use what you have been given. Step out today and be innovative, use what God has deposited in you for His glory.